I had to make some quickie business cards for a networking event I am attending soon. I was the primary prop stylist for the cookbook, Vancouver Eats, and the cookbook launch is in two weeks! 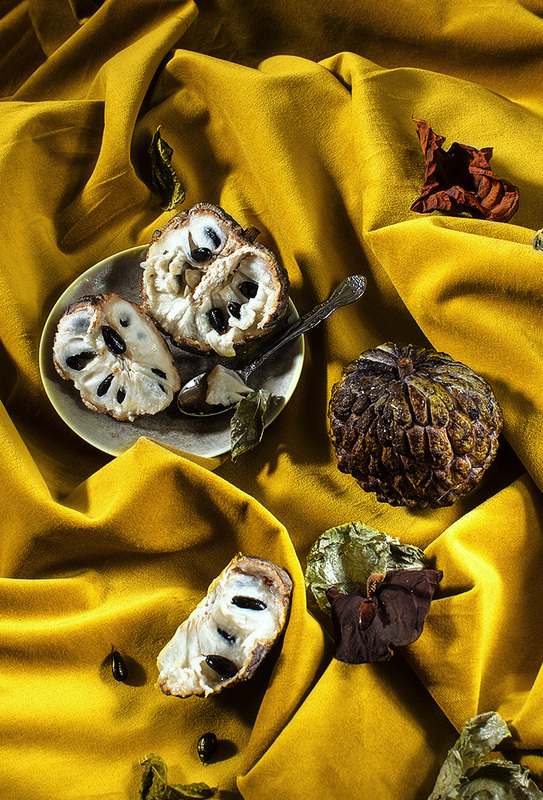 I came at this design not really knowing what to do, but I did a small shoot with custard apples a few days ago and knew I wanted to incorporate this photo into my business card somehow. TADA! Luckily I printed only 50 of these. I get so easily tired of my own designs. Perhaps this is why I am not a graphic designer, HA! Sometimes, the journey is far more interesting than the destination.